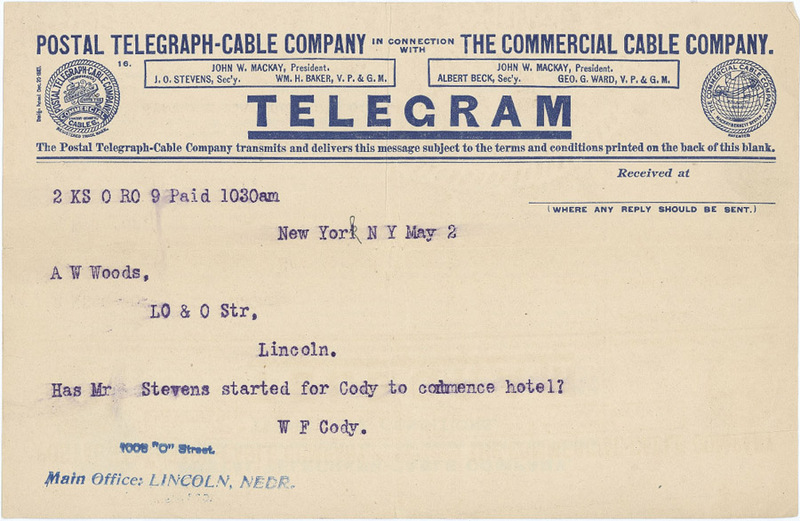 Postal Telegraph-Cable Company in connection with The Commerical Cable Company. 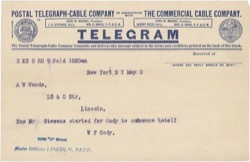 in connection with the Commercial (Mackay-Bennett,) Cables. Wm. H. Baker, V. P. & G. M.
Geo. 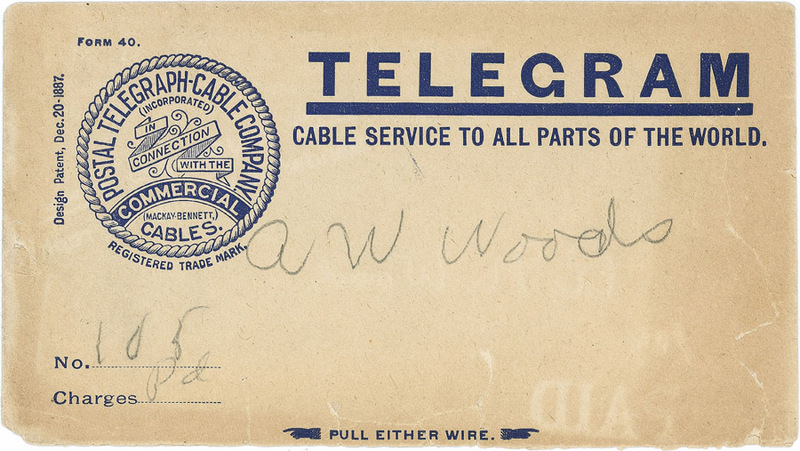 G. Ward, V. P. & G. M.
The Postal Telegraph-Cable Company transmits and delivers this message subject to the terms and conditions printed on the back of this blank. A W Woods, LO & O Str,  Lincoln. Cable Service to All Parts of the World. Design Patent, Dec. 20 - 1887.